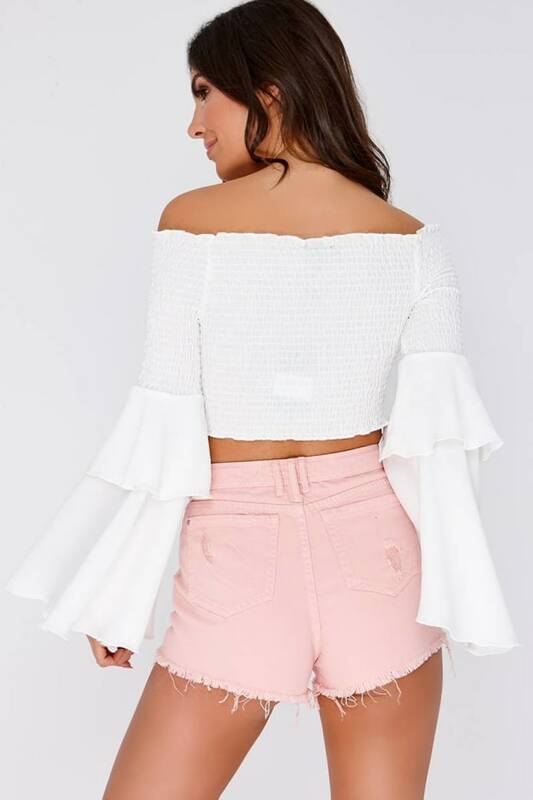 Slip into a dreamy denim daze wearing these summer lovin shorts! 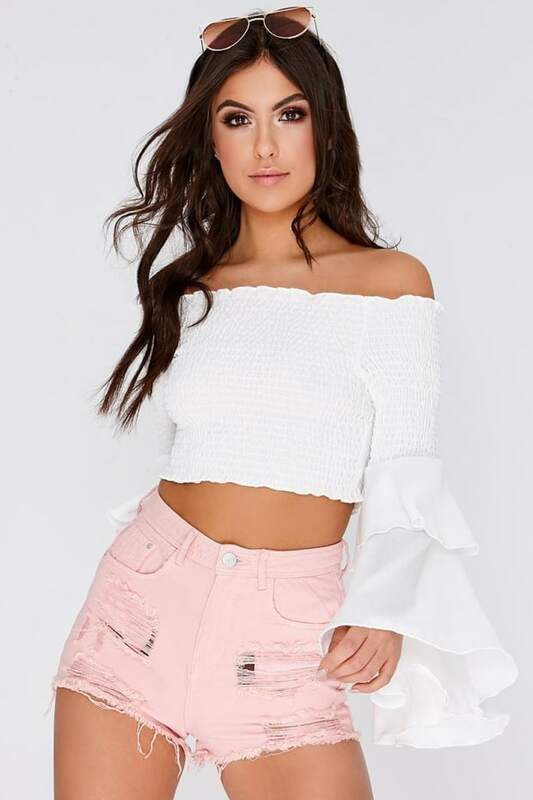 In a flattering high waisted design featuring distressed detailing, these pink shorts are the perfect styling staple for creating some fierce summer outfits! Team with a crop top and boots to earn some serious style points!